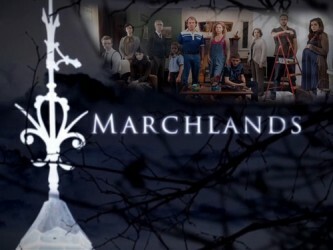 Marchlands is the gripping story of three different families living in the same house in the 1960’s, 1980’s and present day. The families are linked by the spirit of a young girl – the 1960’s family’s daughter who died in mysterious circumstances. Amy Maynard in 1987 (played by Sydney Wade). Daughter of Helen and Eddie, she claims to be communicating with the spirit of a dead girl, Alice. Her family prefer to believe she may have a medical condition rather than believe she is communicating with the dead.